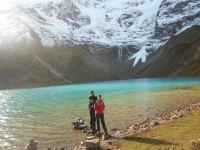 We enjoyed the amazing Salkantay trekking, the incredible landscape and nice people. We found a new family there and our guide (Victor) was the best one! 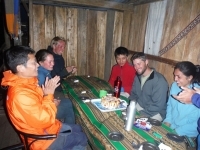 Everything was perfect, we were hiking and enjoying during the day, and in the afternoon when we arrived in our camp, the happy hour was waiting for us! 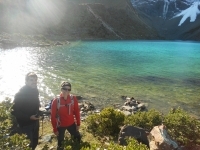 Hemos disfrutado del trekking por la ruta de Salkantay durante 4 días y 3 noches. El paisaje es espectacular, hemos recorrido el valle andino y subido hasta 4600 metros, por lo que hemos disfrutado la variedad del paisaje del Perú. The first thing we did was to buy the tickets to Machu Picchu. And then we found out that every guided trip had included the tickets. But Salkantay.org was very helpful to make an offer so we didn't have to pay twice. 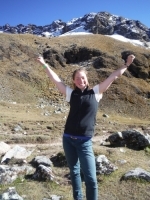 It is hard to sum up the experience of the Salkantay trek with words, because it is truly a great one. 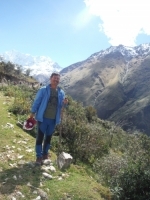 It is again hard work to write long assay about my comments and experience about the Salkantay trekking. This is my first time trekking. It's an amazing trip. It's tough seriously. However, it's a good experience for me. We are a family and we helped each other. I lost my jacket and other guys helped me and gave me theirs. This helped me pass the tough time. I was always dreaming with this adventure. 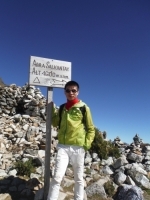 I have done it with Salkantay.org. The course was great. 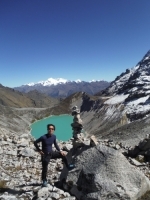 Magnificent Salkantay mountain, beautiful green lake on the top, interesting trekking course, everything was perfect. There was no time I could feel a little bored. This was such an amazing trip! So happy I decided to take an alternate trek to Machu Picchu. As an avid hiker/camper this trip had all that I was looking for plus some, making it both challenging and pleasant. 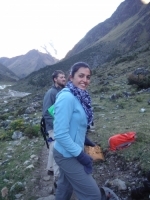 It had the challenges of the beautiful Peruvian terrain, and morning wake-up calls with warm tea. It was one of my best experience. I will remember all moments that I had shared with our team members. It was an incredible experience. This is an adventure that I will always remember especially thanks to the people I shared it with. The tour guides always made us laugh, the porters were the most helpful and the group was simply the best. This has been one of the best experiences of my life so far. The food prepared for us was absolutely amazing, especially on Day 3 where we had an elaborate lunch on the summit. Although the hike was strenuous at some parts such as Day 2, it was packed with breathtaking canyons and mountain crests. 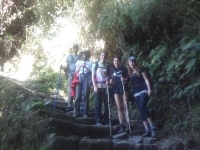 After having just completed the amazing 4 day Inca Trail I can truly say it was such an amazing experience. Despite the tired muscles and exhaustion, it was by far some of the best days of my life. 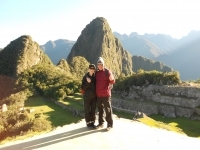 We decided to do the Salkantay trek when we were unable to get tickets to trek the Inca trail. This trek was a great alternative. The scenery along the way is beautiful. You trek between snow capped mountains and then through lush rainforest. 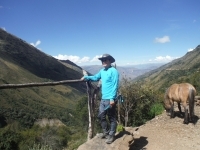 It was a great way to see some of the natural beauty of Peru. 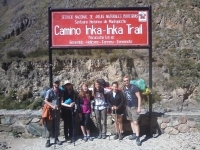 The Salkantay trek was a very well organised trek. 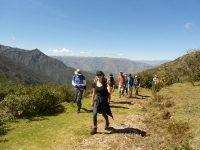 We were disappointed that we were unable to get tickets to do the Inca Trail but this was a good alternative.